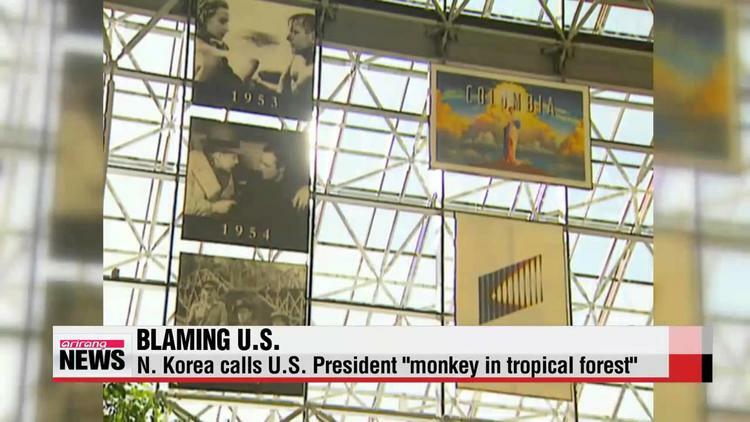 North Korea lashed out at President Barack Obama on Saturday, blaming him for the Sony film, “The Interview,” and for the North Korean internet outage, adding “”Obama always goes reckless in words and deeds like a monkey in a tropical forest..” Given the long history of racist associations of African-Americans with animal primates, it seems indisputable that this metaphor was meant as a racist slur. North Korea, however, was simply treading a path that was already well worn by some prominent American GOP voices. Former secretary of defense Donald Rumsfeld said just last spring that “a trained ape” could do Obama’s job better than he does. ” “Special interest! What planet have I landed on? Did I slip through a wormhole in the middle of the night and this looks like America? It’s like the damn ‘Planet of the Apes.’ Nothing makes sense! The guy who’s helped destroy all these pensions, Andy Stern, is now on the financial oversight committee. Is this who we want to take advice from? There isn’t very much doubt, especially given the further reference to Tiger Woods as a philanderer (with white women) that the Planet of the Apes crack was a piece of race-baiting. In spring of 2011 a senior GOP official from Orange County, Ca., sent around by email with a picture attached of Obama as monkey. Depicting African-Americans as apes or monkeys has a long history in the USA. It leads to discrimination. So the path for the paranoid and oppressive North Korea regime to demean the head of state of the USA was paved by some prominent Republicans.